Late Joy Division singer Ian Curtis' house is currently on the market, and while it's being sold as a regular home, a new fan-run campaign aims to buy the house and turn it into a museum. 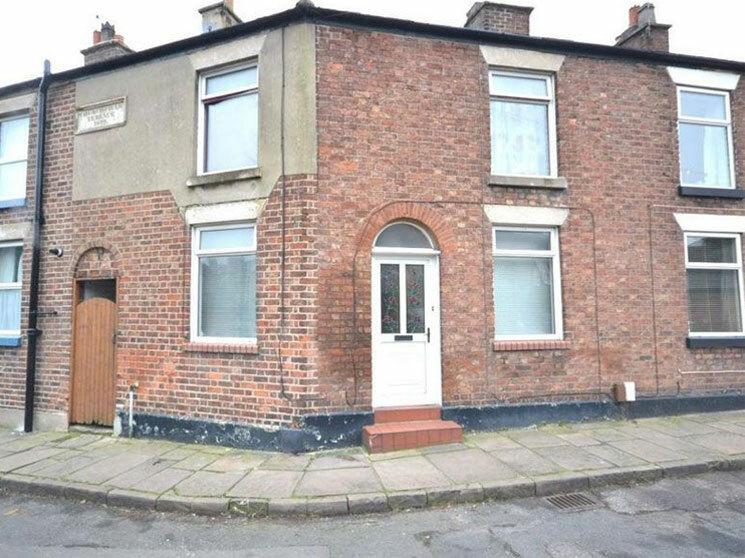 The Indiegogo campaign was launched by Joy Division fan Zak Davies, who is seeking to raise £150,000 ($285,613 Canadian) in order to buy the house, which is located in Macclesfield in the English county of Cheshire. The plan allots £115,000 for the house, £30,000 for interior renovations to return it to the way it looked when Curtis lived there, and £5,000 for legal or incidental costs. Any extra money will go towards improving the renovations. A statement promises that this museum "will raise awareness and educate future generations on the music and life of Ian Curtis and allow existing fans the experience to walk the same floorboards as the man himself." Beyond that, however, the campaign doesn't include much of a plan for what will happen if it succeeds. Will it be a museum with memorabilia and other educational items, or will it simply be a way for fans to see the space and pay their respects? Is there a plan regarding employees and maintenance costs? In any case, curious parties can check out the campaign here. So far, it's raised just £1,057 since being launched on February 13, but there's still a long ways to go before it ends on March 30. See the property listing for the home here.